One year after the fires raged through the Grande-Synthe Refugee Camp, former Co-Ordinator of Distribution for L’Auberge des Migrants/Help Refugees, José Dams, reflects on her time there. Everybody is silent as the stereo is plays Radiohead and we drive back in the dark. It’s a half hour until we are back in Calais and everybody is reflecting on another day spent in camp. Six days a week we would go into camp and deliver clothes and hygiene items to the 1,500 refugees who tried to survive there. Emotionally it was an exhausting job. 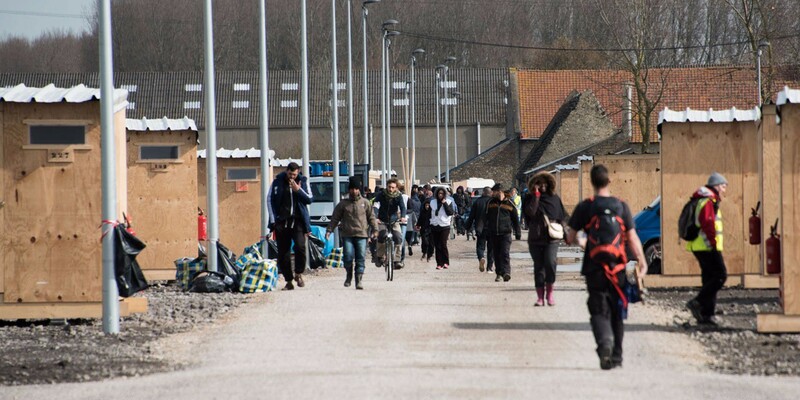 When I think back of the months I spend working inside the Grande-Synthe refugee camp, it feels as if I am replaying a black-and-white VHS tape. My memories are filled by a colorless place, forever trapped in winter. I see the cloudy skies, the big grey rocks upon which the camp stood, the mouldy, leaking shelters and the faces of the people who lived there. “No my friend, I do not have shoes for you today.” That was us. Telling a grown man that his ripped, muddy shoes could still do, because there was a minor who needed the shoes more. I wish that nobody would ever have to make such decisions. Every day we would move from shelter to shelter — writing down requests but never making promises. I tried to keep an emotional distance from the inhumane conditions I was faced with everyday. It’s strange how quickly the abnormal becomes normality. Unexpectedly though, a small, kind moment could completely throw me off. There is one image which always comes back to me: me standing in the harsh, cold, winter conditions, staring at two men praying outside on a dirty prayer rug. They were praying in the direction of Mecca yet I could only see the misery that was right in front of them. The sea of rocks and the grey fence which enclosed the camp. The people we met in camp came from all walks of life. They are just people — what more can I say? They deserve a chance of a decent life. They kept going despite everything they were facing, which inspired us to do so too. I found friendship and comfort among the other volunteers. Every day, we would drink a strong cup of coffee in the morning, blast some James Brown through the stereo in the warehouse and work our asses off yet another day. Their laughs and upbeat spirit could make every day wonderful. I saw the Grande-Synthe camp change in all the months I spend there. There was always a shortage of everything: shelter, proper sanitation, safety, laughter. I felt the mood change and many people felt as if no one cared for them. The lack of humanity the French state provided paved the way for violence and the exploitation of vulnerable people who should have been protected at all costs. 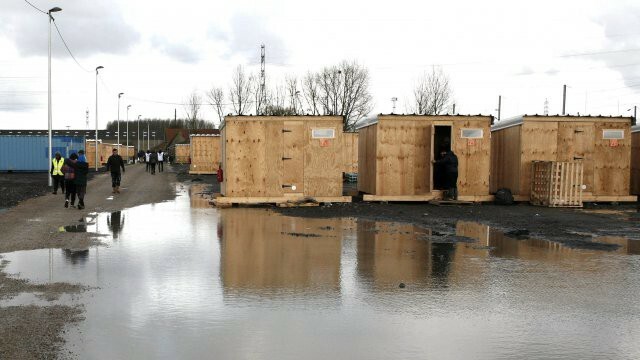 A little over a year ago I found myself crying in the middle of the Calais warehouse because suddenly it had all become too much. The lack of humanity was inevitably going to lead to something bad. And so one year ago today the Grande-Synthe camp burned down. My friends tell me the situation is worse today, as 400 refugees are still sleeping rough outside in Dunkirk. What is happening in Dunkirk and in many other places in Europe is absolutely unacceptable. If you have the time to read this, I’m sure you can find the time to show refugees and volunteers across Europe your support and solidarity. Join us on the right side of history — it’s really quite wonderful here! Help Refugees continues to support displaced communities in Calais and the surrounding areas, as well as working with people on the move across Europe and the Middle East. To help us continue to help them, please donate here. Thank you.